Michael Bush is an experienced beekeeper from USA, very highly regarded in Natural Beekeeping circles. I cannot speak highly enough about his website and I encourage all readers to visit it. Michael published his ideas and experiences in a great book: The Practical Beekeeper, Beekeeping Naturally. I very much enjoyed reading the section of the book devoted to beekeeping fallacies. Michael's thinking aligns with my experiences and my understanding of what bees need and how they live. I asked Michael for a permission to quote from his book, he kindly agreed. I plan to go through the whole list of fallacies, one at a time, quoting verbatim Michael's writing and then adding comments whenever possible to add anything. Below is the first installment, more to follow. Michael's Fallacy #1: Drones are bad. "Drones, of course, are normal. A normal healthy hive will have a population in the spring of somewhere around 10-20% drones. 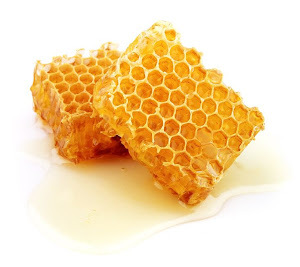 The argument for almost a century or more (really just a selling point for foundation) was that drones eat honey, use energy and don't provide anything to the hive, so controlling the drone comb and therefore the number of drones will make a hive more productive. All the research I've heard of says that the opposite is true. If you try to limit the number of drones, your production will decrease. 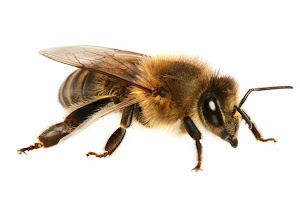 Bees have an instinctive need to make certain number of drones and fighting that is a waste of effort. Other research I've seen says that you will end up with the same number of drones no matter what you, the beekeeper, do anyway." The above relates to another quote from the very first page of Michael's book"
"If the question in your mind starts with 'How do I make the bees ...' then you are already thinking wrongly. If your question is 'How can I help the bees with what they are trying to do...' you are on your way to becoming a beekeeper." This is the jest of natural beekeeping philosophy. Remember - bees are wild creatures, not domesticated. They do what instinct tells them to do and this instinct has developed over millions of years. It is worse than ridiculous to think that me, you or anyone else may know better ways than what bees' instinct dictates and may succeed in forcing bees to follow his/her line of thinking. This simply will not happen. Going back to drones, it is my experience that the larger the number of drones in a colony, the better they do and more honey they gather. When I see numerous drones, I am happy - the colony is thriving and so will my honey cupboard. Removing drone brood is a cruel practice, but it is also an idiotic one. 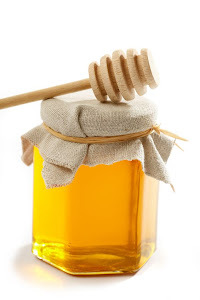 Bees invested honey into this brood and you want to throw it away. If you do, the bees will again invest honey and effort in raising new drone brood anyway. Along the way you only disrupt the hive and stress the bees. Stressed bees get sickly - just like me and you. Reading available literature let me realize that we actually do not know what role drones play inside the hive. We know that bees raise them at the time of intensive brood rearing and get rid of drones around the time brood rearing significantly decreases. It may be just a coincidence, but coincidences are rare in a hive. Possibly drones assist in brood rearing - some beekeepers refer to drones as "brooders". I would not be surprised to learn that they play vital role in heating the nest area. Next time you see a drone at a hive entrance, look at him with sympathy. He is your and your bees friend and helper. > I would not be surprised to learn that they play vital role in heating the nest area.